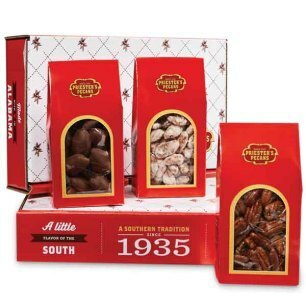 This gift basket brings the Southern charm and delicious food that are key elements of Southern hospitality. 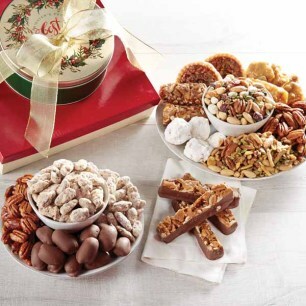 This charming hinged lid gift basket is packed with Roasted and Salted Pecan Halves, Honey Glazed Pecan Halves, Key Lime Pecans, Pecan Divinity, Pecan Fiddlesticks, Peach Pecans, and an Old-Fashioned Southern mini Pecan Pie. 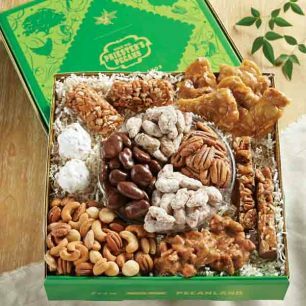 I sent this gift as a get well greeting to a friend in Massachusetts. He felt very cheered by it. 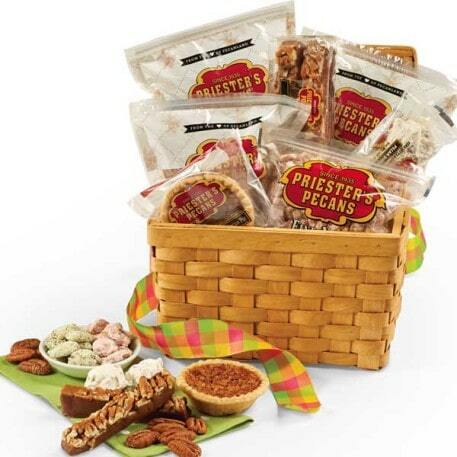 Sending Priester pecans is a perfect way to say hello. 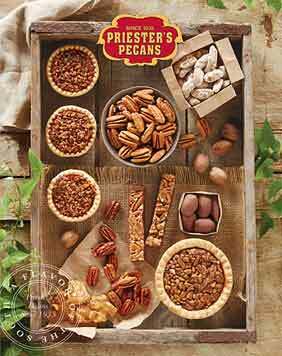 As always, it is a pleasure doing business with Priester's Pecans.....the service is fast and dependable and the products are fantastic....Never disappointed!! Very pleased with the basket and the quick delivery to my parents in Oregon!